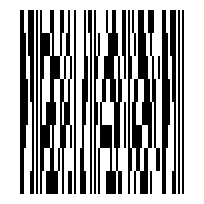 The Barcode Creator Add-on of RasterEdge DocImage SDK for .NET is a reliable and robust barcode generating component written in managed C# code. Apart from the commonly used PDF-417 barcode, it also supports generating Micro PDF-417 barcode symbol, which is compatible with established ISO/IEC barcode specification and standard, in Visual C#.NET imaging applications. With this library, users will be able to create standalone barcode images on png, jpeg, gif, bmp, or simply insert barcodes on several documents, including TIFF, PDF, Word, Excel and PPTX. You can easily generator Micro PDF 417 barcode and save it to image files/object using this C#.NET barcode generator control. The following steps will show how to create a Micro PDF417 type barcode encoding numeric data text "123456789" into the image object with XImage.Barcode.Creator. Please copy the sample code as follow to generator a Micro PDF417 barcode. This Barcode Creator Add-on for .NET can be directly used in C#.NET image processing applications. It supports drawing Micro PDF 417 barcode on png, gif, jpeg & bmp image files. Demonstrated below is the C# sample coding with which you will create a Micro PDF 417 barcode encoding "123456789" on a png image "Sample.png" located in your hard drive C.
Demo setting only includes module width, image resolution, rotation / orientation, and the specific location for barcode printing on sample image. For more settings such as column count, row count, unit of measure (pixel, cm and inch), and barcode image color, please refer to the property table below to create custom Micro PDF 417. Using this Barcode Creator Add-on for C#.NET, you are free to write and draw Micro PDF 417 barcode on PDF, TIFF, Microsoft Word, Excel and PowerPoint documents page in C#.NET class application. At the same time, you have full control for the exact location of barcode on image by simple settings of X and Y coordinates that are measured in pixel.